Recumbent bikology in the urban jungle. 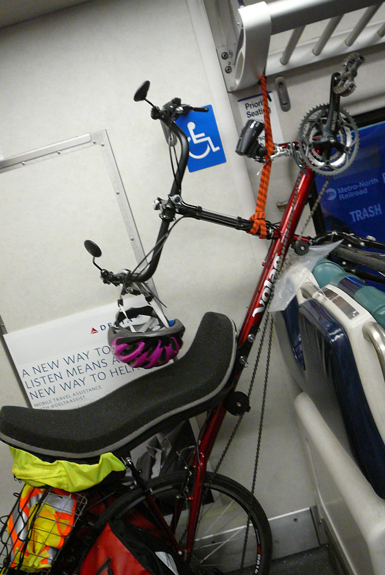 : How to put a Volae on the Metro North. Note: Although this is how I do it, it is not "authorized."